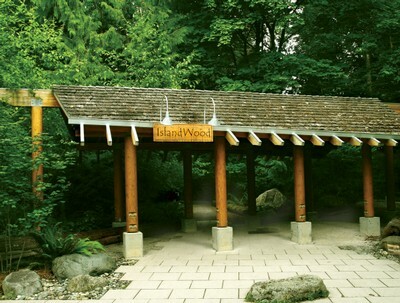 Come celebrate a Bainbridge Island summer at Islandwood! 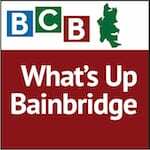 In this podcast Islandwood’s Christina Doherty tells BCB host Ellen Miyasato what’s in store for the folks who participate in the center’s Afternoon on the Trails, August 17th from 2-6pm. Put on your hiking shoes and explore the forest floor as you wend your way through over 6 miles of trails on Islandwood’s 255 acre campus. 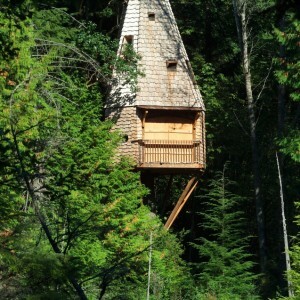 Cross the suspension bridge high above a ravine, and view the bog from a treehouse perched around a Douglas fir. Enjoy birds and dragonflies flitting around the pond and the cattail marsh. Inspect the forest understory by climbing a fire tower perched in the woods, and break out above the tree canopy. Or, go further afield and explore the less-travelled Lower Loop Trail. And if you’re curious about what you find, budding naturalists are encouraged to bring in found objects such as small stones, shells, feathers, bones or tree cones. Islandwood staff can guide you through some steps to help you discover more about your object. Be sensitive to Mother Earth, please: no live plants or animals! 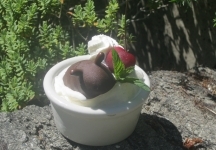 Top off your afternoon with a banana slug sundae — a chocolate-dipped banana shaped like a slug sitting in vanilla ice cream. Sundaes can be pre-ordered or purchased at the event. To learn more about the Afternoon on the Trails event, visit that event page on the IslandWood website. Credits: BCB host and studio tech: Ellen Miyasato; BCB audio editor: Lyssa Danehy deHart; “What’s Up” music splash: Tim Bird; BCB ferry music: Dogfish Bay Studios; Podcast art: artopia creative.